Imagine 260 species of plants, designed and planted in a synthetic felt product, rising eight stories high. I’ve just described the basic components of a vertical garden covering an exterior wall of the Athenaeum Hotel in London, England. 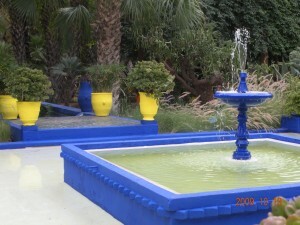 Get the details and more when you visit Patrick Blanc gardens site. You’ll see why his gardens are getting a lot of attention lately. If eight stories seems to tall for your first vertical garden project, how about experimenting with Wooley Pockets from the Wooley Pocket Garden Company. 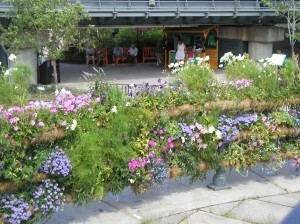 The pockets can be affixed for vertical or horizontal garden design. Made of 90 percent recycled materials, the plant pockets come in lots of colors, sizes and styles. Because of their moisture barrier construction, the pockets can be hung on exterior or interior surfaces with no water damage to floors, walls or furniture. Walls, handrails, fences, wire supports, your old car …. this gardening stuff justs get better and better, doesn’t it.